The Chevrolet Impala has a long history, having been produced off and on since 1958. Carving itself into American identity, the Impala has been one of the best selling automobiles ever to be sold in the United States. The Impala, long revered for its prowess, continues that tradition in 2016. A 2.5-liter four-cylinder is standard, mated to a six-speed automatic transmission and capable of producing 196 horsepower, it offers greater power and capability than one would expect from a base offering. Add to that the ability to upgrade to a 3.6-liter V6, with its respective 305 horsepower, and the 2016 Impala proves its mettle once again. However, the Impala holds more appeal than just its engine. 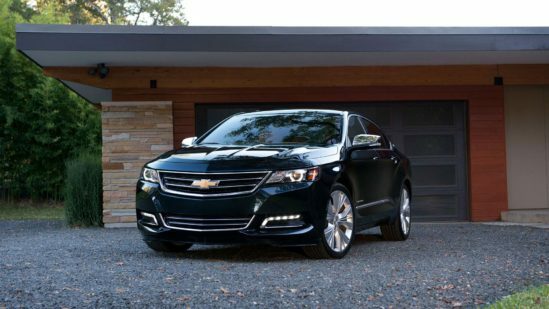 The 2016 Chevy Impala has a roomy interior with plenty of cargo space and a comprehensive tech layout. The on-board MyLink infotainment system is accessible from an 8-inch touchscreen located on the console, replete with a fresh and intuitive interface. Combining features such as Bluetooth audio connectivity and voice-to-text messaging capablity, with compatible smartphone devices, the MyLink system serves as a single portal to all that the Impala has to offer. In addition to entertainment tech, the 2016 Impala also contains a full suite of electronic driver aids, with features such as lane-departure warning, forward collision alert, and blind-spot monitoring all available. These features, along with ace crash-test scores, ensure the Impala remains one of the safer sedans on the vehicle market today. Yonkers Automall is part of a network that includes over 30 new and used car dealerships throughout the country. With over 50 years of experience selling new and used cars, look no further than Yonkers Automall for your next vehicle purchase. We look forward to earning your business. You can find out dealership at 1716 Central Park Avenue in Yonkers.